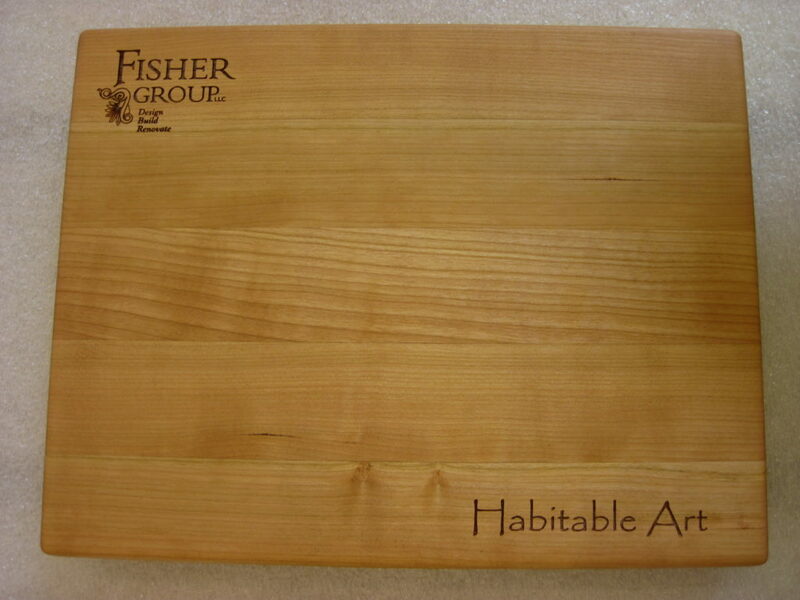 The most common use for a wood surface is a wood cutting board counter top. 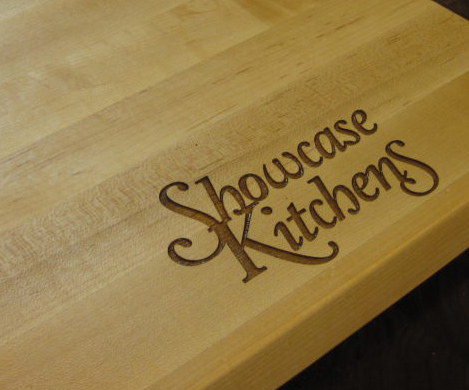 This is because wood surfaces can be easily sanded and renewed of knife marks caused from food preparation. 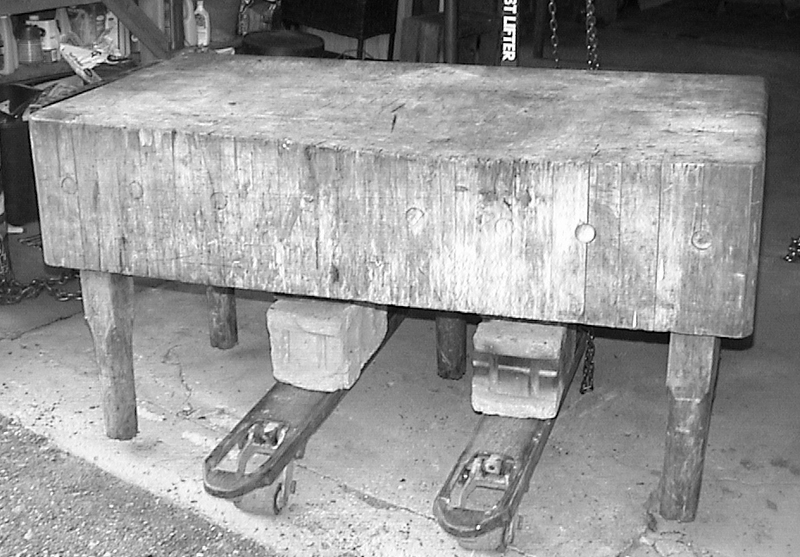 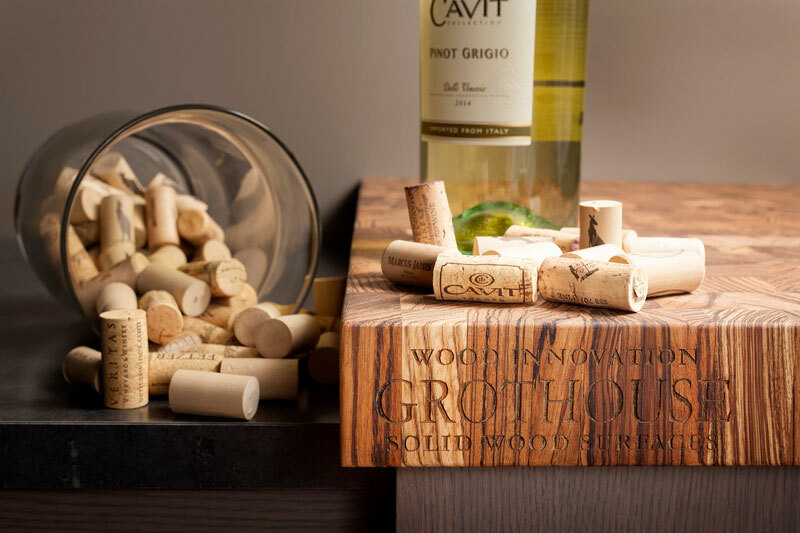 Wood tops can be crafted in flat, edge, or end grain construction style. 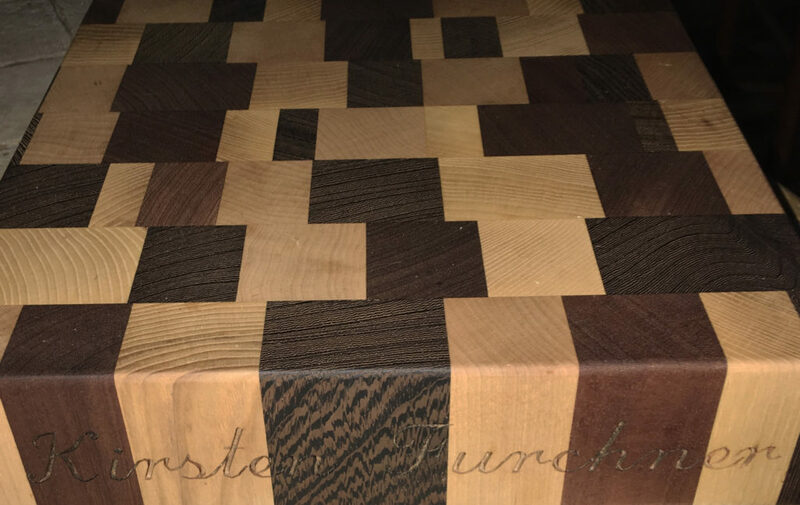 End grain construction style is considered to be the best surface for cutting, chopping, and direct food preparation. 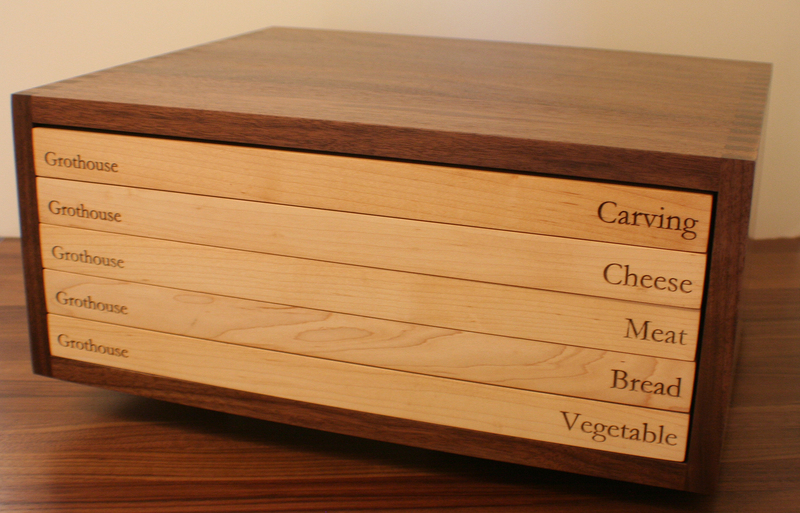 Knives stay sharper longer on these surfaces because the edge slips between the fibers rather than slicing across them. 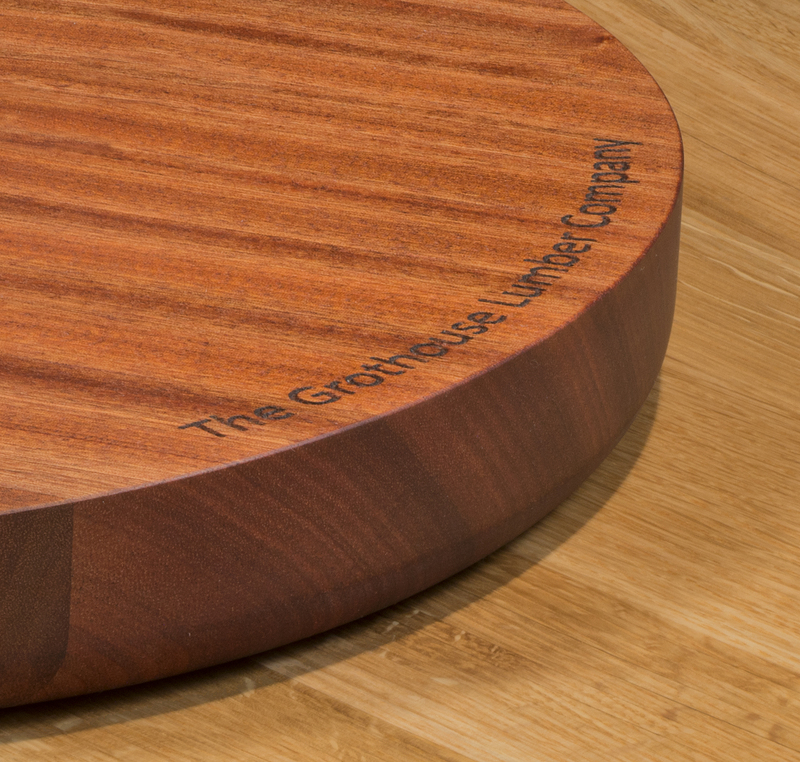 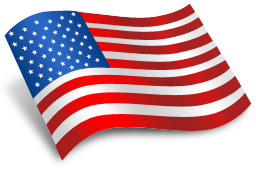 However, the most important requirement in order to be used as a cutting board is that the wood counter top must be finished with Grothouse Original Oil™. 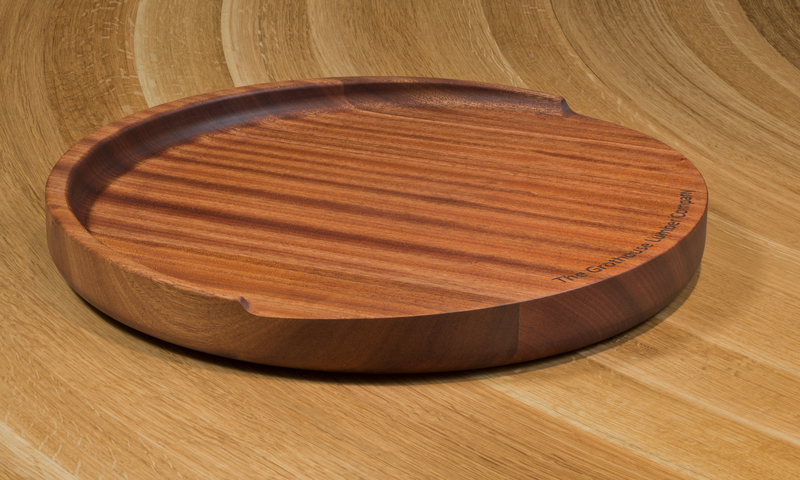 When the knife marks are made in the wood top, the surface can be sanded and refinished with the oil to look like new. 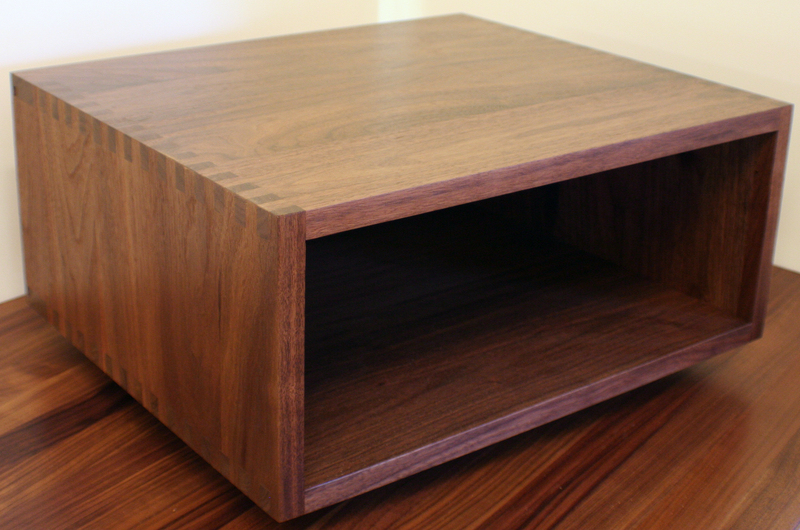 LS Lindstrom LLC designed this Wenge wood counter top crafted in edge grain construction. 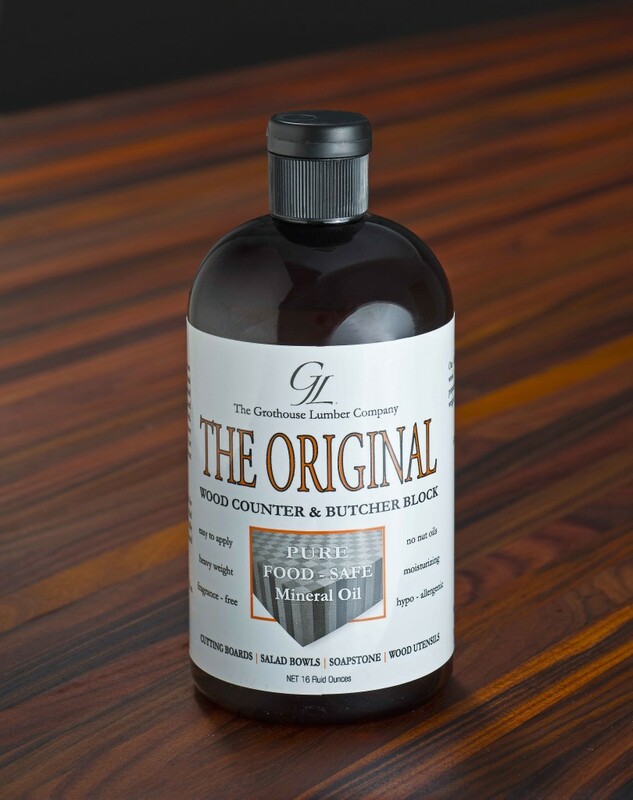 This counter top can be used as a cutting board because it is finished with Grothouse Original Oil™. 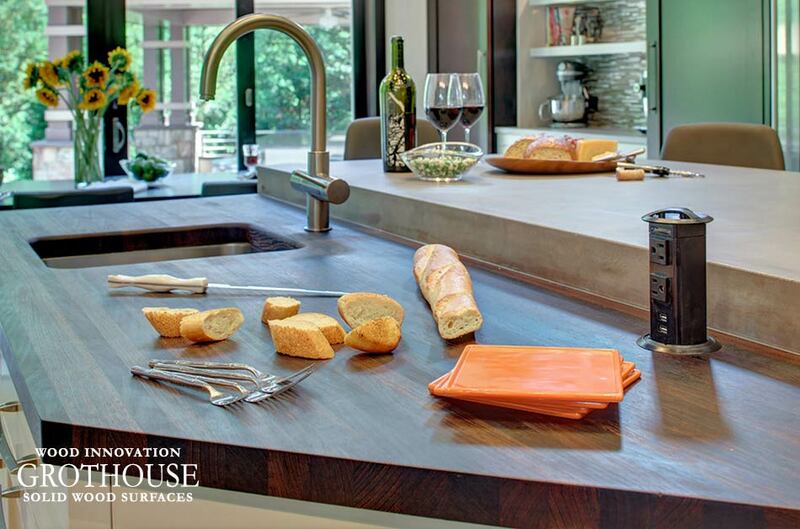 The wood counter makes for a great food preparation space due to the clever placement of the sink. 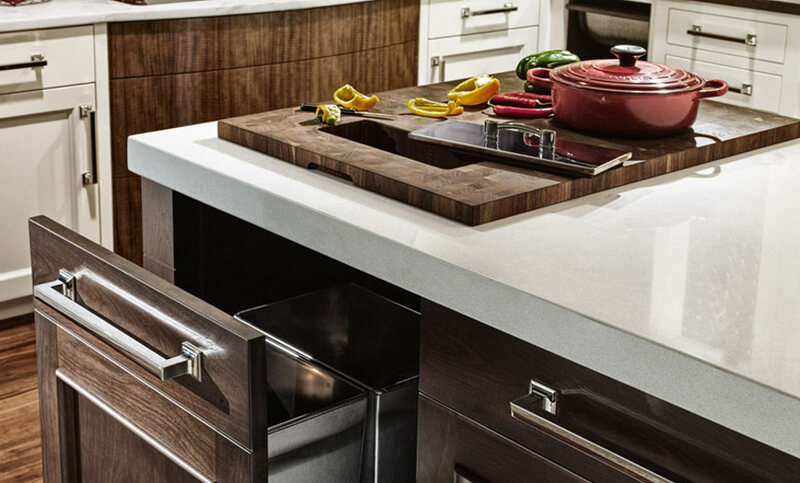 Easily transfer freshly washed fruits and vegetables from the cleaning area to the food prep area. 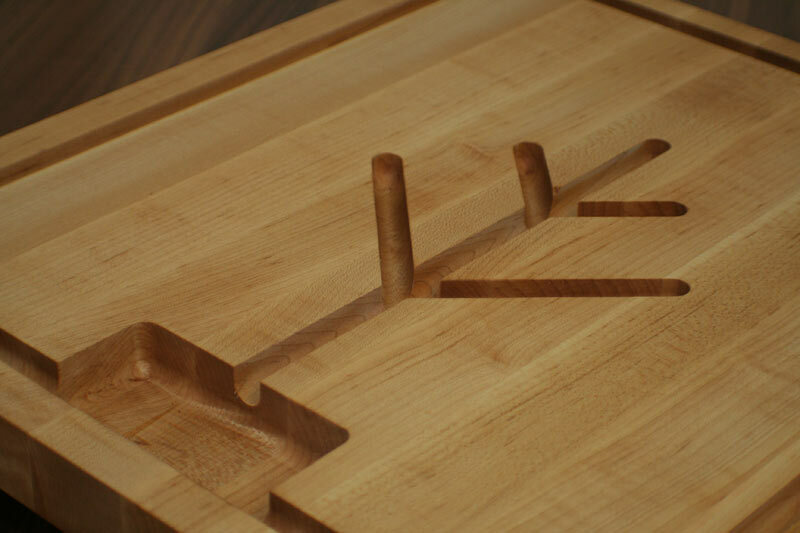 Blue Bell Kitchens designed this Walnut wood cutting board counter top crafted in end grain construction. 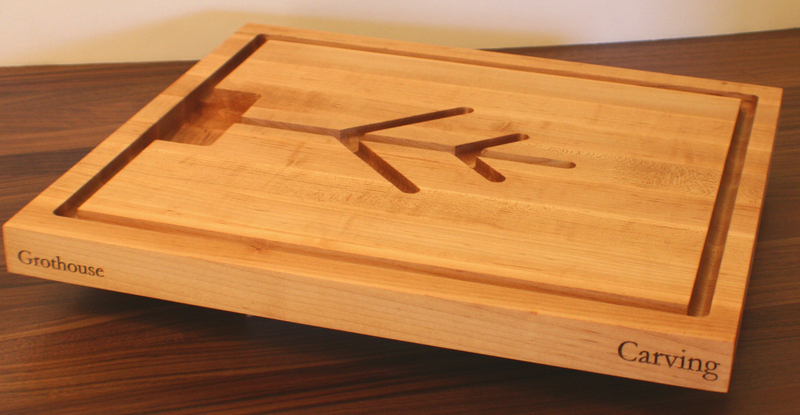 This cutting board includes a trash hole for easy clean up after food preparation. 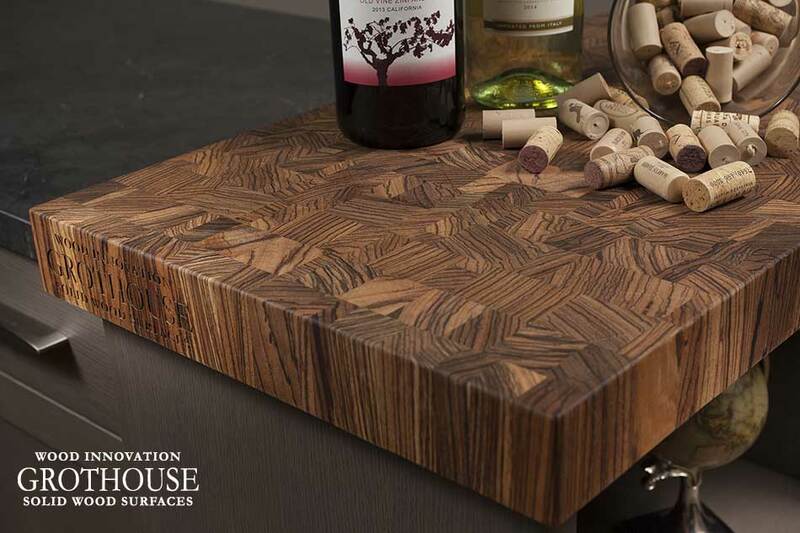 Visit our Houzz profile to view more designs with a wood cutting board counter top.